Hello guys, today I am going to talk about something which is not related to Java but a very interesting technology development which is happening around and you simply can't afford to miss out this opportunity. Yes, you guessed it right, I am talking about Machine learning, Artificial Intelligence, and deep learning. There is a good chance that you might have already heard about them and even started learning them. You may be either form Python camp or learning R programming for the sake of machine learning. When I started my journey of Machine learning and Data Science, I had to first make a choice about choosing the right programming language as both R and Python were doing great. I eventually chose Python because of a bigger community, general purpose in nature, and some prior experience of writing Python code. But, there was one more reason which helps me to chose Python for Data Science and Machine learning, the wide range of awesome libraries available in Python. Today, I am going to introduce you to some of those awesome libraries like TensorFlow, NumPy, Pandas, SciPy, Scikit-learn, Seaborn, Keras, and Matplotlib. I know there are many more libraries but with my limited experience and exposure, I have heard of these main libraries so far. I'll definitely add new libraries into this list as and when I come across but till then knowing these libraries will help you a lot, particularly if you are also learning Data Science, Artificial Intelligence and Machine learning using Python. Without any further ado, here is a basic introduction of some of the most popular Python libraries for Data Science and Machine learning. I have tried to keep the explanation short and sweet and pointed out to the resource to learn more just for the sake of brevity and clarity. As I am also learning Python and Machine learning, will write in detail about each of these libraries in future because you would need at least one post to explain them in a little bit detail. This is one of the most popular machine learning library and there is a good chance that you might have already heard about. You might know that TensorFlow is from Google and invented by their Brains team and used in the RankBrain algorithm which powers millions of search question on Google's search engine. In general, it is a symbolic math library and is also used for machine learning applications such as neural networks. There are many applications of TensorFlow and a lot of stories you can find in the web like how a Japanese farmer used TensorFlow to filter Cucumber. 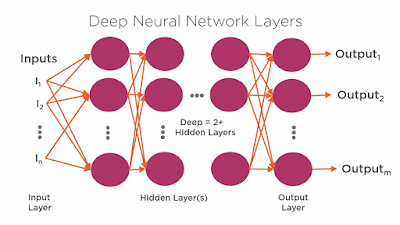 If you are interested in learning TensorFlow then I suggest you start with The Complete Guide to TensorFlow for Deep Learning with Python, it will not only teach you TensorFlow but also basics of machine learning and How Neural Networks. In short, one of the best course to learn TensorFlow, but, if you need more choices, you can also take a look at my list of best TensorFlow courses for Machine learning programmers and Data Scientists. One of the main problems with creating machine learning and deep learning based solution is that Implementing them can be tedious to create and require you to write many lines of complex code. Keras is a library that makes it much easier for you to create these deep learning solutions. In a few lines of code, you can create a model that could require hundreds of lines of conventional code. 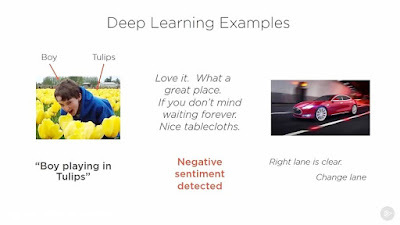 If you want to learn more about Keras, I suggest you check out Deep Learning with Keras course on Pluralsight. It's a great course by Jerry Kurata, a Solutions Architect at InStep Technologies, who is also an instructor of some of the popular machine learning courses on Pluralsight like TensorFlow: Getting Started and Understanding Machine Learning with Python. This is another popular Python library for machine learning. In fact, scikit-learn is the primary library for machine learning. It has algorithms and modules for pre-processing, cross-validation, and other such purposes. Some of the algorithms deal with regression, decision trees, ensemble modeling, and non-supervised learning algorithms like clustering. If you want to learn Scikit-Learn in depth, I suggest you enroll in Python for Data Science and Machine Learning Bootcamp course on Udemy. 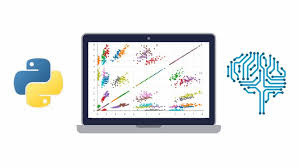 It is one of the most comprehensive course on Data Science and Machine Learning with Python and along with Scikit-learn also teach you other popular machine learning algorithms like NumPy, Pandas, Seaborn, Matplotlib, Plotly, Scikit-Learn, Machine Learning, Tensorflow, and more! NumPy is another wonderful Python library for machine learning and heavy computation. NumPy facilitates easy and efficient numeric computation. It has many other libraries built on top of it like Pandas. 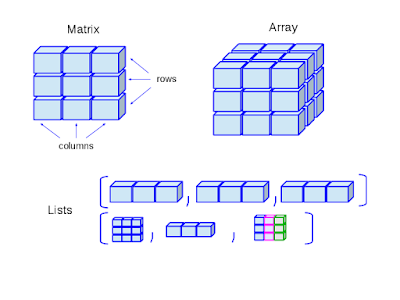 You should at least make sure to learn NumPy arrays, which is the basic and has a lot of application on machine learning, data science, and artificial intelligence based programs. You can use the previous course (Data Science and Machine Learning Bootcamp) mentioned in the list to learn NumPy but if you are from a finance background and thinking to use NumPy, you can also take a look at Python for Financial Analysis and Algorithmic Trading course on Udemy. This is a python library for scientific and technical computing. It will provide you with all the tools you need for scientific and technical computing. It has modules for optimization, linear algebra, integration, interpolation, special functions, FFT, signal and image processing, ODE solvers, and other tasks. There is a wonderful FREE course to learn SciPy with Python, Deep Learning Prerequisites: The Numpy Stack in Python. It's my favorite and more than 100K other developers have also enrolled in it. You can check this out before it converts to the paid course. If you need more choices, I suggest you take a look at my earlier post about the top 5 machine learning courses for Python developers. If you need plotting then Matlotlib is one option. It provides a flexible plotting and visualization library, Matplotlib is powerful. However, it is cumbersome, so, you may go for Seaborn instead. This is one of the Python libraries which is built on top of NumPy. It comes in handy with data structures and exploratory analysis. Another important feature it offers is DataFrame, a 2-dimensional data structure with columns of potentially different types. Pandas will be one of the most important libraries you will need all the time and that's why it's very important to learn Pandas well. 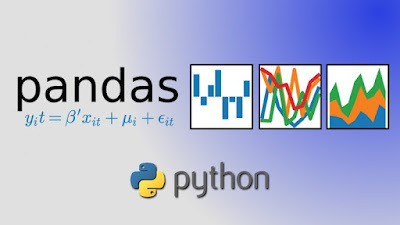 If you want to learn Pandas in depth then Data Analysis with Pandas and Python is a great resource, to begin with. This course will teach you about DataFrame, Merging, Joining, and Concatenating, group by and multi-index etc. 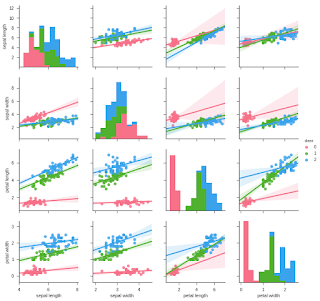 Like Matplotlib, it's also a good library for plotting but with Seaborn, it is easier than ever to plot common data visualizations. 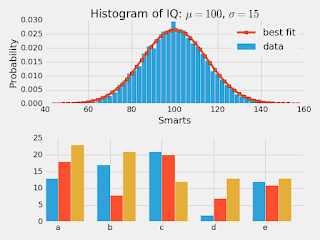 It is built on top of Matplotlib and offers a more pleasant, high-level wrapper. You should learn effective data visualization. Once again, I suggest, Python for Data Science and Machine Learning Bootcamp to learn about Seaborn library. That's all about some of the most popular Python libraries for Data Science, Machine Learning and Artificial Intelligence. Depending upon what exactly you are doing with machine learning and data science, you can choose these libraries to help you out. If you are starting afresh, I suggest you learn TensorFlow or Scikit-learn, two of the most popular and primary libraries for machine learning. Thanks for reading this article so far. If you find these Python libraries for machine learning, data science and Artificial Intelligence useful then please share with your friends and colleagues. If you have any questions or feedback then please drop a note.